This is the verbatim transcript of DCB Bank management call with analysts. Moderator: Ladies and gentlemen, good day and welcome to the DCB Bank Limited Q2 FY’19 Earnings Conference Call. Joining us on the call today are, Mr. Murali M. Natrajan – M.D. and CEO, DCB Bank Limited and Mr. Bharat Sampat – CFO, DCB Bank Limited. As a reminder, all participant lines will be in the listen-only mode, and there will be an opportunity for you to ask questions after the presentation concludes. Should you need assistance during the conference call, please signal an operator by pressing ‘*’ then ‘0’ on your touchtone telephone. Please note that this conference is being recorded. I now hand the conference over to Mr. Murali M. Natrajan. Thank you and over to you, sir. Murali M. Natrajan: Thank you. Good evening all of you. My apologies for starting this call so late. We just concluded our board meeting and we thought since tomorrow is a holiday we might as well conclude the investor call this evening. So thanks for your patience and for logging into this call. We have uploaded the ‘Press Release’ the ‘Investor Presentation’ and also the ‘Results.’ So, I hope all of you have got the material with you. So I am happy to take questions right away from you. Operator, you can start with the questions. Moderator: Sure, thank you very much, sir. Ladies and gentlemen, we will now begin the question-and-answer session. We will take the first question from the line of Dhaval Gada from DSP Mutual Fund. Please go ahead. Dhaval Gada: Just on margins, so if I look at last two quarters, the trend we are seeing correction in yield but at the same time cost of funds have been extremely well controlled. So just wanted to understand based on what I gathered from our website as to how the retail term deposits have been moving for your bank, across buckets we have seen between 15 to 80-90 basis points kind of increase, so just what is the reason that cost of funds are still where they are like what is the benefit that we are seeing at this point of time? Murali M. Natrajan: I think cost of funds sharply increased towards the end of September but with the first two weeks of October seems to be quite alright in terms of cost of funds. So again you would see that we have made a change in MCLR of 22 basis points I think in October first week, the new customers would be impacted immediately, the existing customers will get impacted in November onwards because that is the way MCLR works. So both liquidity and cost of funds are actively managed by us. So we keep looking at various buckets, look at opportunities without disturbing the gap in the buckets too much, how do we take short-term, long-term, medium-term, all these things. I do expect cost of funds to inch up in next quarter unless we see some correction in the coming months which I do not think will be possible. There are banks which are reliant more on market funding, so there is some level of depression in terms of offering higher rates even for short tenor to pick up. So we are competing with them. So whatever market pace we have to pay for us to keep moving our balance sheet forward. So I do expect some cost increase in the coming quarters. Dhaval Gada: Sir, if I remember correctly, I think bulk of our book is on three months MCLR, if that is correct, then the sharp rise that we have seen in the MCLR rate from October, should that largely protect the cost increase and overall margin should remain around these levels, would that be a correct…? Murali M. Natrajan: I expect margins to be hovering between 375 to 385 basis points but what has happened is that September was a very unusual month at the end of September, so not that I have any problems in liquidity but when a market is volatile, you want to be more liquid, you want to play it more safer, so obviously there will be some liquidity that would not fetch us the kind of returns that we would normally pursue, we would probably take a more conservative approach in terms of protecting our liquidity condition. So, I would expect that 375- 385 basis points range is what we should expect in the next two quarters. Fortunately, the NBFCs, from anecdotally what I am hearing is that there is some reduction in the number of loans that they are disbursing. At least September was like that, maybe October is also like that, some of the small NBFCs have told me that they are conserving liquidity and not disbursing so much. So competition is easing up a bit I would say not too much but still easing up a bit, so if this continues then pricing power may come back a little bit more to us over the next three, six months. Dhaval Gada: Lastly sir, in the BSE filing that you have uploaded, the operating expense line is not adding up to the number if you could just reconcile and related to that the other operating expense we have seen sequential decline there is about Rs.6 crores decline in the other operating expense, could you just explain what is driving that? Bharat Sampat: Dhaval, Bharat here. Employee cost is 110.18, rent, tax and lighting is 22.18 and other operating expense is 76.85 because I think it has come a little unclear there, depend on uploading. Murali M. Natrajan: There are two major factors driving the reduction in expense. First of all, let me explain, if you look at our other operating expense, not the staff expense, other operating expense between 16-17 we would have grown by about 20, 25% because we are putting all the branches, between 17-18 we are talking about the same period comparison, we probably have grown only by about 2% or 3%, I am comparing September 2017 versus this September, right. So, there is one whole task force that has been working for the last six months in terms of looking at. We were in the process of putting the branches. So there was less opportunity for us to look at efficiency in every cost like repairs and maintenance cost, security guard cost, ATM cost and so on and so forth. So the whole machinery has worked and kept on looking at efficiency of each and every cost, at least the top-10 cost. So that has helped us to kind of rein in the cost which was our idea and when the margins are slightly lower it helps even better because our costs have come lower than our revenue growth. The second thing is that I think there is one notes to account you should refer to which is on property, plant and equipment. You will notice that we have re-estimated the life of our fixed assets which has given us some 4-odd crores of this quarter. So overall expenses reducing and we are hoping that we should be able to keep the expense growth in the range of same what we have been able to do so far. Moderator: Thank you. We will take the next question from the line of Darshit Doshi from Whitestone Financial Services. Please go ahead. Darshit Doshi: How confident are you, I mean, you hold your target of exit quarter as 55% cost-to-income and 1% ROA? Murali M. Natrajan: I do not have any approval from the board to give you any revised guidance or something like that, but we already have mentioned in the past that we did get some setback because of GST and demonetization, all those are good steps but it has some near-term delays in some of our branch performance and so on. Having said that if you look at the trend, we have been able to achieve ROE of about 11.13 and our underlying cost-income ratio has reduced by at least 2.5%. This is despite the fact that the NIM compression has taken away some of the shine out of the revenue for us. So, I think we will keep on improving step-by-step, that is our expectation. So let us see where we end up on this by end of the year. Darshit Doshi: Any portfolio buyout from NBFC? Murali M. Natrajan: We are not I would say actively looking at it but although there are lots of approaches made by NBFCs to improve their liquidity to give us the portfolio. We would be very much interested in portfolios that are fitting with our retail small ticket secured strategy. If we find anything that is meeting our ROE hurdle, we would certainly explore that opportunity. Moderator: Thank you. We will take the next question from the line of Ashish Sharma from Enam Asset Management. Please go ahead. Ashish Sharma: Just on the competitive intensity, you mentioned about with NBFCs being less aggressive in terms of disbursement, how does our mortgage segment get sort of impacted for us – are we seeing some bit of rationalization coming in that segment? Second would be what is the reason for sharp slowdown in corporate banking? 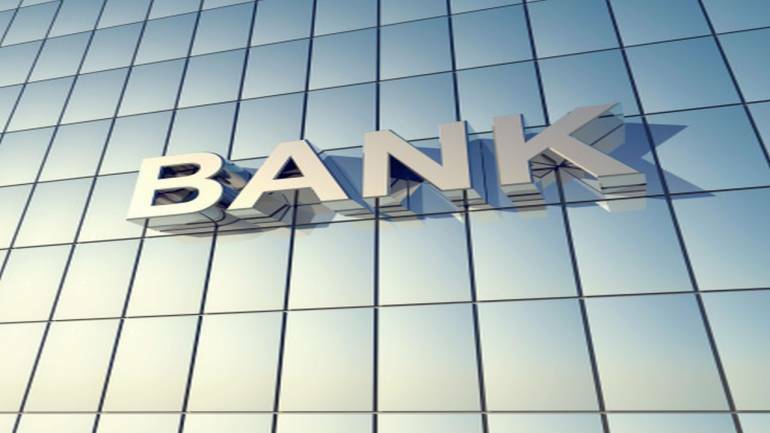 Murali M. Natrajan: Corporate banking is very easy to answer; corporate bank we always maintain that we do not want to have more than 15%, 17% in corporate banking. It is the entire process I have clearly mentioned in my press release that one of the areas that we are working on very sharply and very detail is how to improve the capital efficiency in the entire bank in every portfolio, whether it is in agri or whether it is in mortgage or corporate. Corporate is the easiest one because loan-by-loan we can easily estimate what the performance is in terms of ROE and we can easily decide to either price it higher or let the account repay and reduce the portfolio. So I will not be too worried about our corporate portfolio, it goes up and down, I do not think we expect it to grow more than 15, 20% in a year. On the mortgages, it is too early to see whether there is going to be any immediate benefit for the bank. Anecdotal point indicate to me from sales people is that there are some DSAs calling saying that, “Hey, many of my good loans are not being accepted by NBFCs because of liquidity, so why do you guys not consider?” So such moves have happened. We have found that the closure at least towards the end of September, that is the balance transfer towards the end of September was kind of tapering off, I am not sure whether the trend will continue in October or something, but the sales team seem to be a little bit less stressed at least at the start of the month. So I have only anecdotal data points to tell you that there seems to be some relief but we will watch the entire quarter to see if that continues. Ashish Sharma: Sir, where you mentioned about the exit ROEs and cost-income ratio, so at this moment, we think we are on the course, but we are not sure as of now whether we will be able to achieve what we had sort of guided but we are not changing as of now, so…? Murali M. Natrajan: Like I said, I do not have any approval to change the guidance at the moment, but I want to just say that look, we are at 11 now and our cost-income ratio has also come down quite well this quarter. There were doubts raised that whether our cost-income ratio will come down or not. We were confident. This is despite the fact that there have been some…Of course, we have to look at quarter-by-quarter and so on and so forth, but I look at our balance sheet, what has happened in three years time. In three years time, like we always have said, we usually able to double in 3, 3.5-years time, we have doubled it. If you look at the efficiency, it has improved in 3 years time despite the fact that we have added a lot of branches. So I believe that we are in the right direction. The timing of it could be off a little bit, not sure, but right now I just want to continue pursuing what we are doing and then probably by next quarter we will be able to give you a little bit better picture on this. Moderator: Thank you. We will take the next question from the line of Sagar Shah from KSA Shares & Securities. Please go ahead. Sagar Shah: Sir, my first question was regarding the mortgages segment actually. Wanted to understand in this segment to actually go deeper into this mortgages kind of people do we cater to actually? Murali M. Natrajan: I hope you have a chance to see our last few investor presentations where we have put the pictures of people to whom we deal with both on deposit and loan side. “Picture speaks a thousand words.” Those are the kind of guys we deal with in our mortgages, in our SME, in our current account, in our savings account and so on. 85-90% of our book on both sides of balance sheet is self-employed people, they could be doing anything like we have I can tell you some local cable network operator, trader, I am not sure what exact product he has taken this, for example we have somebody who is doing trading in collars and labels. I can say that 20% of our customers would be either retail or wholesale traders. There is one importer of hearing aid devices, we have lots of provision stores, somebody who is dealing with PVC pipes, like that you will find almost every possible trade profession in self-employed segment could be our customers and ticket size averages about 30 to 50 lakhs, somewhere in that range, we do very few loans greater than Rs.3 crores. Sagar Shah: So something like as you have said sir the cost of funds will be going up in the next few quarters? Murali M. Natrajan: No-no, that is not what I said, I said cost of fund could go up in this quarter and the next quarter if things do not change in the market significantly. Of course, then we will have to reflect that in MCLR and see how we manage our margins. Sagar Shah: So something like in the next two quarters are you seeing your NIMs and yield on advances to be under pressure due to…? Murali M. Natrajan: NIMs and advances are always under pressure especially these times. We believe that we can operate between 375 basis points to 385 basis points. If we continue to grow the book at 20, 23% on annual basis and maintain our NIMs around 375, 380 basis points, we believe that Bank has the ability to produce very acceptable set of numbers. So that is the kind of assumption which we run and we have also demonstrated this particular quarter, hopefully, we will continue in the next quarter as well that we can manage our cost pretty well. Sagar Shah: Sir, are we envisaging at least a change in the advances mix actually… are we seeing some two wheeler loans or commercial vehicles loans? Sagar Shah: Consumer Durable Finance? Murali M. Natrajan: No, we are unlikely to go to consumer durable. We are stepping on personal loans which is not showing up in this chart in a small way but over a period of three, four years, probably it will come to 3, 4% of our loan book. Moderator: Thank you. We will take the next question from the line of Jai Mundhra from B&K Securities. Please go ahead. Jai Mundhra: Sir, just on margin side, the 3.83 number that we show is cumulative, right, if I am not wrong? Bharat Sampat: It is for the Q2 2019, not for the first half, it is not cumulative. Jai Mundhra: Because March numbers look like they are cumulative? Murali M. Natrajan: 3.83 is for Q2 2019, similarly, the yield and similarly in the cost of funds. Jai Mundhra: Secondly sir, this interbank deposit which is around 20%, what is the rate as of now and how has been trending over let us say one, two quarters? Murali M. Natrajan: Interbank deposit we have relationship with quite a number of small cooperative banks. As you know many of the cooperative banks do not have opportunity to lend and when do they lend they make a mess of their lending. So they are excess liquid most of the times. So we have very good relationship with several cooperative banks who place deposits usually one year and above and the rate will depend upon the rate that prevails at that point in time because there is a lot of competition for that deposit as well. Apart from deposit, we also give them some other facilities like maybe we help them in trade, maybe we help them in the ATM and so on or even on some remittances and so on, depends upon each cooperative bank. Jai Mundhra: Would there be any substantial differential between this sort of deposit and let us say one year TD from retail? Murali M. Natrajan: Many times retail will be more expensive, but again we have to keep balancing between slightly more expensive, stable versus slightly lower cost, that is an ongoing process that we are using. Jai Mundhra: The last question is on sir commercial real estate exposure. Today also there were some rumors; a few builders have downgraded and they are not doing so well. The annual report I believe last time FY’18 numbers suggest somewhere around 2,000-odd crores of commercial real estate exposure? Murali M. Natrajan: Exposure to builder is definitely not Rs.2,000 crores. I think some of the mortgages also get classified as real estate exposure. Bharat? So our exposure what I have shown in the pie chart is the construction finance exposure, okay, which is 3% means must be about Rs.600-odd crores, these are small ticket exposures like the project itself maybe Rs.20, 25, 40 crores type of project and our exposure could be anywhere between Rs.5 to 15-odd crores. I actually like that business for the simple reason that because of RERA, it is very difficult to divert your fund and second thing is as the construction happens and property is sold the money directly comes to the bank, you also get a benefit of current account of these customers. Having said that, since about GST, demonetization and all, there have been a slowdown on sales because only the end users are less, there are hardly any investors. So it has to be watched very carefully but from a risk point of view I see this slightly lesser riskier than just giving Rs.20 crores for example to a manufacturing CC/OD, I see that as well as a risk. So ticket size of these apartments are usually Rs.40, 50 lakhs. Jai Mundhra: As of now you are not seeing any unusual stress in this portfolio, right? Murali M. Natrajan: There was. We have construction finance in Odisha, we have construction finance in Maharashtra, so one customer has a problem because the thing is slowing down for example, that does not mean that the whole portfolio has a problem or something, it is a specific issue to a particular customer. Moderator: Thank you. We will take the next question from the line of Renish Bhuva from ICICI Securities. Please go ahead. Renish Bhuva: Sir, a couple of questions; one is on the commercial vehicles portfolio. So this has to be the fastest growing portfolio from the last three, four quarters. I believe it is mostly to meet the PSL requirement. So do we see any PSLC income from this portfolio, whatever with the…? Murali M. Natrajan: Not specifically in the portfolio, usually we are much in excess of the 40% on PSL portfolio. So there is a separate team which works in agri inclusive banking team which coordinate with treasury and does sale of PSLC. Those incomes if we have sold anything will be reflected in the coming quarters because we recognize the income based on the calendar, right, even if we have sold something in the first quarter, we will only recognize the income pertaining to the first quarter, the full money get recognized by the end of the year, so that process continues like what it was last year. Renish Bhuva: So basically in first half we have not booked anything and if we…? Murali M. Natrajan: We have booked something, it is there in the chart, but I am not sure what exactly we have booked and I am sure it is also mentioned in our annual report last year whatever we have got. Renish Bhuva: Secondly on our corporate book as you rightly mentioned that we are very much focused on the profitability of the particular account in corporate side. So if you can share what sort of ROE metric we look at when any proposal come to us? Murali M. Natrajan: You guys are tracking at 14%, so minimum I have to look at 14%. Renish Bhuva: So that is what, so we will not do anything which is ROE dilutive in the corporate side? Murali M. Natrajan: Depends, if it is say for example 10% or 11% ROA, then there has to be some alternate income which needs to be combined, for example, whether there is a current account, transaction banking, trade, something has to come in that account for us to help us understand how it will meet the 14% criteria. Renish Bhuva: So we will continue that strategy going forward? Moderator: Thank you. We will take the next question from the line of Aalok Shah from Centrum Broking. Please go ahead. Aalok Shah: Two questions from my side: What answers the sharp increase in yield on investments on QoQ basis? Second on is on asset quality. Murali M. Natrajan: The yield on investments have gone up, no in the market, right; it went up as high as 8.25 and all, right. So our SLR portfolio as and when we take deposit, we keep kind of grooming that portfolio and look for as better yield as possible. In the first quarter we had to sit on a lot of liquidity and I think I did mention in my call that we had to sit on some of the liquidity because the market rates were very volatile and we did not want to end up having any mark-to-market, in fact, our mark-to-market was very low as compared to some of the other banks of the same size, I think it was like less than Rs.2 crores or something, I do not remember. So the treasury has taken opportunities to improve the yield plus I think some PTC transactions also could be there where we get opportunities to do short-term PTC and have a better yield than say the GSec yield, then we will use that as well. This is all ways of dealing with excess liquidity whenever we have. Aalok Shah: The second question is on asset quality while overall numbers look reasonably okay flat QoQ, is there anything specific to read in the way we look at the increase in AIB NPAs on YoY basis this number has been on drive? Murali M. Natrajan: AIB has number of portfolios; it has Kisan Credit Card, it has tractors. Usually tractors have a very yo-yo type of NPAs and sometimes it depends upon the crop season, this, that and also our own collection effort and so on. So it has got a number of portfolios and it is all very granular kind of portfolios. If you see the book growth of AIB has also been substantial, AIB is 19% of our 22,000-odd crores and it must have been like a similar number of a smaller, 17-19, so, book is also growing well because we have almost 140-odd branches in AIB segment. So I am not overly concerned with NPAs in AIB. Moderator: Thank you. We will take the next question from the line of Rashmi Shah from Investec. Please go ahead. Rashmi Shah: I have three questions: One is why is RWA to assets are low, it has come down this time, so what will be the reason for lower growth in RWA? Murali M. Natrajan: Answer is I have mentioned it in our press release as well, the team is working on a very deep dive into each and every portfolio looking at what is the utilization of capital and does it make sense or not sense in terms of retaining the loan from a customer point of view to make sure that capital is used efficiently. So last quarter has been I would say from a thematic point of view is looking at huge amount of efficiency both on cost and capital. So that is what has given us clear benefit. We had to exit some of the loans in corporate for example where it did not really make sense from ROE point of view. So that has helped us and we replace it with the lower weight retail loans or mortgage loans, so that has definitely helped us. So despite growing the book, since we exited some high risk weight assets, so our risk weight has remained very moderate. Rashmi Shah: Sir, my second question would be why has the yield on advances reduced? Rashmi Shah: Do you expect it to further go down? Murali M. Natrajan: I am focusing on net interest margin because that is what makes sense, right. So I believe that given all the tools and all the processes that we have in place and understanding our portfolio, we should be operating between 375-385 basis points is what I believe. There can be some movement here and there in the quarter but we seem to be on track on that at the moment. Rashmi Shah: Sir, why is the miscellaneous income grown sharply this quarter? Murali M. Natrajan: PSLC, this, that, lot of items are there in that category. Compare it with the last year will be similar, there is nothing very unusual we have seen in that. Moderator: Thank you. We will take the next question from the line of MB Mahesh from Kotak Securities. Please go ahead. MB Mahesh: Just a couple of questions: One, again on the yield on advances, when you look at your portfolio yields that you are reporting today and yields which are booking your incremental business, have you reached a point wherein the incremental disbursements are coming at yields which is higher than the portfolio yield? Murali M. Natrajan: I am not sure I can answer that question so directly but I can give you some indications which may help you but if you do not get it, then I can still throw some more light on it. Basically what we have done is that we have brought in very sharp focus on capital utilization at a loan level and at a customer level because we have superior analytics, so we have been able to create that model very quickly, we were working on it for almost few months but we have been able to implement it last quarter. So there I actually do not worry about the specific yield on a particular advance. I worry about what is the return that is giving me on that particular loan. So if I book let us say 9.65% home loan, I am just giving an example and it comes at let us say 35% risk weight, the ROE I believe would be probably 14 or 15% and it will also count for PSL. So I would say that yield on advances was a much bigger problem in the first quarter but as we exit the second quarter given some pressure on NBFC, I would imagine that yield on advances is of slightly lesser problem, not gone away completely. The second data point that I would like to give is that when we tell the customer that, look, this is the price that can happen and let us say I am prepared to drop the loan, the negotiation is becoming slightly easier than it was say in July or August. So I expect us to maintain the margin around 375, 385 basis points. Yield and cost of funds would be dynamic depending upon the mix and so on, Mahesh. MB Mahesh: A couple of other questions: One, again, just coming back to the same question that we have asked in the past, if we look at the impact of GST on your customer base, how are you seeing today because we have now crossed a critical year? Murali M. Natrajan: So without trying to sound politically correct or anything, I would like to say that GST does not seem to be such a big problem for the segment that we are dealing in. Most of the customers were paying VAT. The rate may be different, the process maybe different which has all taken some time to settle down. I have not come across our sales people having a problem saying that “GST has now impacted me or something.” In fact, on the other hand I would say we know for a fact that we can rely on that data to give them better especially this Rs.40, 50 lakhs customers and all, we see more compliance on GST at least the portfolio that we are seeing. I would not see it as a problem at all at the moment. MB Mahesh: When you look at your customer base and you see what the revenues they are projecting, in the last couple of years have they actually seen revenue growth and profitable growth? Murali M. Natrajan: I do not think that is the way at least the SMEs that we talk about. In fact, when I meet an SME and he gives me a picture of this year might be Rs.2 crores, next year will be 4, next year will be 8, I go back to the office and say, “I do not think it is a good idea to deal with this guy.” They do not have the ability to scale up that fast without messing their portfolio or suddenly they will say, “Bank has to help because now I cannot get this and so on and so forth.” It is a risk if my SME grows too fast. Having said that, from our recoveries and NPA performance I can see that in mortgage and SME, we are seeing most of our recoveries are matching up with the slippages. That is why you see some stability in our NPA performance. That seems to indicate to me that there is some improvement happening in the SME segment. Case-by-case on revenue, I do not think I can comment but enhancement requests are coming continuously, so that does indicate there is some improvement in sales in the CC/OD product. MB Mahesh: I was asking from historical standpoint as in this year as compared to last year? Murali M. Natrajan: Slightly better. The most difficult year was somewhere between December 2016 to say about August 2017. From then on, partly because we also enhance our collection ability, partly also because things are improving, we are not seeing that much pressure and we have steadfast get this thing saying that let us not expose ourselves too much to greater than Rs.3 crores kind of loan. Whatever loan has been given in the past we will manage it, rest of it just focus on small ticket items and touchwood so far we have been okay with that kind of portfolio. MB Mahesh: Just an additional question on this again, we see a lot of NBFCs now overlapping the banking channel on the SME side and I am sure that might be true for you as well. Does this now give an easy opportunity to at least penetrate your existing customers’ base and take over some of these loans or is it…? Murali M. Natrajan: Nothing is easy, it is just that some players are going slow, so we are breathing easy at least for the time being, but even in that high competitive environment, we were continuing to deliver our growth numbers. Yes, we have had some challenges in our margin. But if I am able to maintain margin at 375, 380 basis points, and grow the book at say 20, 22%, hopefully in the coming years it will be yielding much better results than what has happened for us in the current year. Moderator: Thank you. We will take the next question from the line of Sri Karthik from Investec. Please go ahead. Murali M. Natrajan: Without considering corporate bank, we have grown at 29% as compared to last year. Sri Karthik: Sure sir, but my question is the LAP portfolio is starting to slow down in terms of growth. As the most stickier SME book which is slightly difficult to grow given there are multiple banks involved and …? Murali M. Natrajan: SME we have grown at 33% as compared to last year, that is not small. See, everything is difficult only. Everywhere there is bank, there is NBFC, there is HFC, everyone is floating around everywhere. So if our LAP has slowed down a bit or mortgages have slowed down a bit, we are doing pretty well on commercial vehicles, we are doing extremely well on agri inclusive banking, SME and hopefully we will add a portfolio like personal loans in the coming months. So we are sticking to the same segment which is the SME segment and we are sticking to the point that in three to four years time, we should be able to double our book and the mix will somewhat remain the same; mortgage is at 40%, maybe it will go down to 38%, maybe it will go to 42%, I cannot tell you exactly how it will pan out, but that is the distribution we are looking at. Let me also add one more point; we are very clear that if a customer comes to us in LAP portfolio asking for more money, unless and until we can really see additional cash flows, we will not disburse. We are very clear that if that individual loan comes at a price which does not make sense from a portfolio, ROE, etc., we will not lend. We are very clear that if the loan that is requested is greater than Rs.3 crores, we will subject it to 100 types of torture before deciding whether the loan has to be given. So, all those policies have been implemented in the past several months. So therefore whatever you are seeing in mortgages is a result. We do not want to get into the mad competition of burning our capital and liquidity just to build our book, right. When we have so many options like SME, MSME is an option, commercial vehicle is an option, personal loan will now become an option over a period of next say six months or so, agri inclusive banking is a very decent option, also gives us PSL. So we have many options that we can execute quite well. Sri Karthik: Commercial vehicle has grown quite nicely to 10% of our portfolio while absolute number is not very large but it is becoming 10% of our portfolio starting to reflect in our overall mix. Is there any cap that you would want to impose? Murali M. Natrajan: As long as it is PSL and makes decent return, we can keep. Again, we do not do big tickets there, I think one or two maybe customers I have, I do not know, very small part of our book is strategic and all, rest is all individual customers you call it by different names, FTB, FTU, etc., they are all 70, 80% PSL, part of it would be the used vehicle portfolio. We see commercial vehicle as an integral part of our bank because we see that it is a self-employed, it helps our business, it has decent yield, yes, it is difficult from a collection and NPA point of view, but as long as the truck runs, even if the customer is delinquent or NPA, we are able to collect the money because we are able to revive the customer. So I think it is a very good portfolio. We believe that it will be in the same range of 7-8%. Moderator: Thank you. We will take the next question from the line of Rohan Mandora from Equirus Securities. Please go ahead. Murali M. Natrajan: Not necessarily, we do not go by rating on the portfolio, we know the yield, we know the cost of acquisition, we know the cost of maintenance, we know the cost of collection, we know the lifetime credit losses of portfolio. So mathematically it is not very difficult to find ROE at account level especially given our very detailed analytics. Rohan Mandora: But how would this help in terms of the capital consumption being lower, the RWA growth being at 0.16% QoQ? Murali M. Natrajan: Lot of our loans are regulatory retail capital, right, which requires the low capital. Bharat Sampat: So while unrated, capital requirement would be lower, they would not be in AAA category. Murali M. Natrajan: I will give an example, let us say we give a self-employed customer a home loan which is below Rs.35 lakhs and LTV should be 75% and below. If it is 75% and below and it is below Rs.35 lakhs, it only takes 35% capital. Home loan if you disburse and after you are through with the first year, there is hardly any collection or maintenance cost. The problem is that when banks or NBFCs start disbursing loans at 8% and 8.1%, you do not want to be in that game because you hardly make even any margin on that. So there is no question of making good returns. Rohan Mandora: If you could share quantification on how have the incremental rate change in the last six months and say mortgages, SME and agri business? Murali M. Natrajan: If I am running one portfolio, it is very good but it is a mix of portfolio, we have commercial vehicles, in commercial vehicles, we have new and used, then we have mortgages, in that mortgage there are some four, five products, there is home loan, within LAP there are some two, three variations, depending upon the customer size and so on, then in SME again there are different…so the yield on advances we have reflected in our presentation in page #11, that is the overall yield. Rohan Mandora: Because I was just trying to correlate that only, there was around 14, 15 basis points sequential decline. We have also started taking MCLR increase, so 13 basis points was in August and 30 in September. So just to correlate the decline in yields via-a-vis the increase in MCLR, part of the book is on fixed rate. So how is the incremental yield would have moved? Murali M. Natrajan: What happens is that new book which is coming even if at a higher yield is never good enough to compensate for any reduction we may have given in the existing book, it is not possible to achieve that. The pricing of the book happens based on different, different MCLR period, but most of it is in the three months period, then you also have fixed rate portfolio, right, commercial vehicle is fixed rate, tractor is fixed rate. So there we have no chance of increasing the MCLR even if the cost of funds goes up. Moderator: Thank you. We will take the next question from the line of Ojasvi Khicha from SBICAP Securities. Please go ahead. Ojasvi Khicha: Sir, as we indicated in previous calls the bank is working to refine its risk based pricing to counter pressure on NIMs. Could you just elaborate on the progress made so far, in general, what factors would you consider in decision making? Murali M. Natrajan: The biggest factor we consider in decision making is the ticket size of the loan. We believe that higher ticket size have higher risk straightaway. A simple thing would be let us say if I book a loan of say Rs.3-4 crores and if it grows delinquent it takes a long period of time to dispose off that property because the number of buyers in the secondary market is less at the moment. So automatically that becomes risk for us, takes time. The second factor would be clearly based on our own internal segment analysis whereby we have categorized into various segments. We will be able to say for this segment what will be the lifetime loss rate…life time means the first five year or six years what will be the loss rates, so that will be one item that will come into the picture. Third would be in terms of whether it is a household, for example, many loans are given in small ticket for a family, in the sense, husband, wife both are borrowing and they even end up taking attachment insurance on that. So there are so many factors that goes into deciding what exactly should be the pricing and it is that my comment, what I have said today may actually change next month based on any fresh information that is brought to us by our analytics team. Ojasvi Khicha: Second question is due to this Supreme Court verdict on Aadhaar, does that changes anything on boarding of the customer KYC? Murali M. Natrajan: What was happening is that we have made a lot of changes to our technology to take the fingerprint. All that would have to be discontinued, we have to simply take Aadhaar and verify the original of the customer and that process will go back to what it was a few months ago. I do not see it as a major issue, in fact, I probably see it as okay, that is fine, because lot of times these devices are out there in the market to check and all and then we have to put additional controls and so on. We will go back to what it was before. At least the sales people have not told me that this is a major problem. So it should be fine. I know some fintechs and others have complained about this issue. I do not see that as a major problem. Ojasvi Khicha: But is it like costlier or taking more turnaround time? Murali M. Natrajan: For example, in a loan process, KYC time is not the most time consuming, for example, in mortgage the valuation takes time, legal takes time. If those all become electronic, that would help for more than the KYC process at least the segment that we are dealing with. Personal loans and all which are done very quickly on website with KYC and all, probably that might get affected, we are not doing that business. Ojasvi Khicha: Also just wanted to understand amongst all your meaningful asset classes which is the segment that sees significant NBFC credit intensity where if NBFCs move out that vacates a lot of space, you give a lot of headroom? Murali M. Natrajan: Entire segment, we are in self-employed, they are in self-employed, right we enter self-employed 10-years ago, self-employed mean SME, MSME or whatever name you call it, NBFCs are lending to the segment, I do not see this NBFCs going away is a positive because I think they are an integral part of our lending infrastructure and who knows, it might even affect the economy in some ways, for example, if let us say some big NBFCs stop lending home loans, that would affect some builder as well, who knows? Ojasvi Khicha: My only point was assuming this lasts for only a temporary period of time, this still gives you a little bit of legroom in terms of certain segments where you have anyways been comfortable but find pricing being rational because NBFCs being rational, which would those segments where the credit intensity of NBFCs would be significantly higher where you encounter? Murali M. Natrajan: So this is the segment that we operate in. Whosoever within the segment is bankable based on our criteria we are happy to onboard the customer. What I wanted to tell you is that loan origination in banking and NBFC is a function of capacity of sales team and credit team. It is not that suddenly I can get lot of loans. If I see that there is an opportunity, I have to add resources to tap that opportunity. So even if I see the opportunity, what I think might happen is I think there will be some rationality will come in terms of how they fund and how they price which will be quite helpful for all players, that is my sense. Moderator: Thank you. We will take the next question from the line of Hrudhyam Verma from Augment Catalyst. Please go ahead. Hrudhyam Verma: Sir, I just wanted to know what would be your outlook on the CASA growth that we have been seeing QoQ actually? Murali M. Natrajan: We are not very happy with our current account growth but we are very happy with our savings account growth, savings account I think YoY is about 30%. So I think there is a lot more work needs to be done on current account… I do not think it is because of lack of effort, I just think that current account moves in, goes out, so there is some issue that we need to address. Savings account the new customers that we are originating month-on-month and the average balance I do not think we have too much complaint. Our outlook is that we should maintain 24.5, 25% and as our branches stabilize, we would definitely like to go up to 27, 28% but at the moment I am not able to give you any guidance till we see some data points. Murali M. Natrajan: What I mean is that the end of the September and the early October is all less stress on my sales team, but we are putting stress on them so that they can deliver results. Hrudhyam Verma: So there must be lot of opportunities opened up because of this liquidity crisis in NBFCs and you mentioned that you would not be taking up much corporate loans that would have been rejected by NBFCs, is that correct? Murali M. Natrajan: No, I do not know what loans are rejected by NBFCs on corporate and all, as such corporate we would like to grow by only 15, 17%, that is the position I have always maintained for the last several years and in addition I mentioned that in this quarter specifically we will look at loan-by-loan and decide that wherever it does not make sense from a liquidity/ROE point of view, we just exit at those loans. Thanks a lot. Apologies for making this call all the way till 7 but I thought it is a good opportunity having finished results. So if you have any questions that have been unanswered, please feel free to write to Bharat and Gaurav and we will be more than happy to respond to that. Moderator: Thank you very much, sir. Ladies and gentlemen, on behalf of DCB Bank Limited, that concludes this conference call. Thank you for joining us and you may now disconnect your lines.